I’ve been following the Victorian Society (@thevicsoc) on Twitter, and this has focussed my mind on some of the Victorian buildings included in these pages over the last eight years, particularly those demolished, or rotting away. The Bonding Warehouse, being on the riverside and within the walls, gets a lot of attention. A surprising amount of attention, considering it’s been empty for so long. Every now and then there are plans to bring it back into use, and work on one of these started, before the difficult economic climate ended it. Passing by yesterday I noticed that it’s becoming a graffiti wall. Again. Then this morning The Press carried a story about the most recent plans to bring it back into use. Its location will probably mean it is saved from complete dereliction. Because of concerns about what visitors think. We have many historic buildings to maintain. Particularly in the city centre – the important income-generating part of this place we call York. All that historic fabric is quite a responsibility. Which is perhaps why redundant Victorian buildings in suburban areas beyond the walls don’t have much of a chance. School buildings were important to the communities around them when the city’s built-up areas expanded so far beyond the walls in the late 19th century. 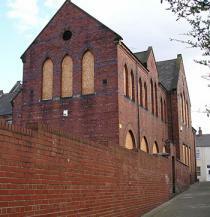 St Barnabas School, in the Leeman Road area, was surrounded by small terraced houses. Buildings like this give a necessary focus and form a recognisable landmark in streets of converging terraces. But in the 21st century being a landmark isn’t enough. York needs more housing. A few more new houses fitted onto this area of land, after the old school was demolished. Demolitions are reasonably dramatic, and tend to be noticed. Neglect over many years tends not to be. The word neglect suggests we should blame someone, but as any owner of an older house knows, it isn’t always possible to secure older buildings perfectly against the elements. Particularly if someone steals the lead from a roof. Shipton St School is presumably rotting a bit by now. It wasn’t looking too good when I took this photo back in 2007. Like St Barnabas school, it’s out in the terraced 19th-century suburbs, where the tourists don’t go, and people of power and influence aren’t seeing its boarded windows on a daily basis. It could have been redeveloped earlier, perhaps, as the ArcLight centre wanted to move here, but … well, you can Google to find information on this unpopular suggestion. Its redevelopment as housing – keeping the main school buildings – was approved, but is another victim of the economic climate. The place is boarded up and inaccessible. In the brief period it was accessible it looked like the lead was being stolen from the roof, and that no one was much bothered. So, the Bonding Warehouse and Shipton Street School remain empty. Both must have been so for around ten years now. One has had some weatherproofing work done, while the other apparently hasn’t. One of them is in the city centre where tourists see it, and one is in the Victorian suburbs where only the residents see it. It will be interesting to see developments, if any. Does it matter if these buildings collapse and are gone from the landscape? They don’t bring in tourists, and you could say they’ve outlived their purpose. One was a warehouse on the river – we don’t need those anymore. One was a school, and its pupils have relocated to another school. They’re both handsome buildings, but we have a lot of those. And not everyone appreciates our recent history, which is what these buildings tell us about, if they tell us anything. The people they ’speak’ to are perhaps not the people who can do anything about their demise. You could say it’s a shame they’re listed buildings. If they weren’t we could demolish them and build something more fit for purpose for the 21st century? Obviously I don’t think that. But in difficult economic times, it seems reasonable to ask these questions. 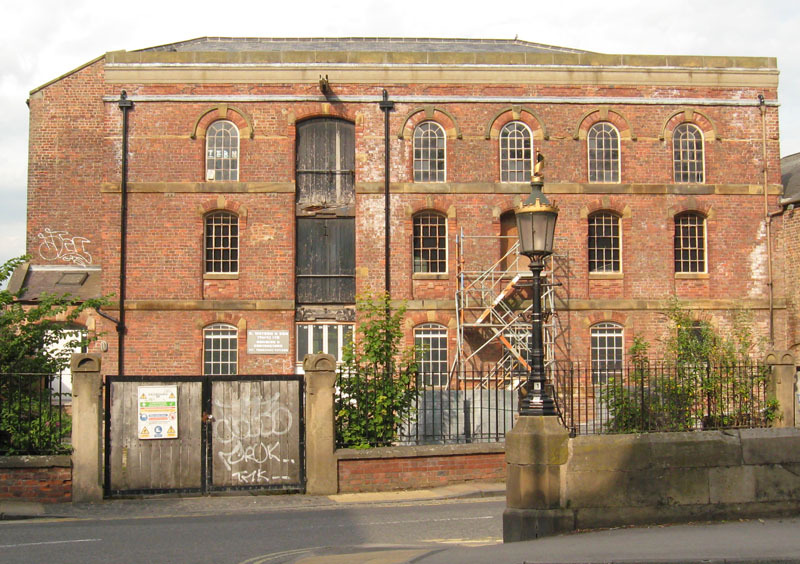 Should we attempt to retain and reuse these Victorian buildings, and if so, why? Victorian buildings are not rare, after all. Victorian buildings demolished since this website went online include St Barnabas School, mentioned above, and J B Morrell’s old house on Burton Stone Lane, just round the corner from Shipton St School. Please feel free to add others you know of, via the comments below. 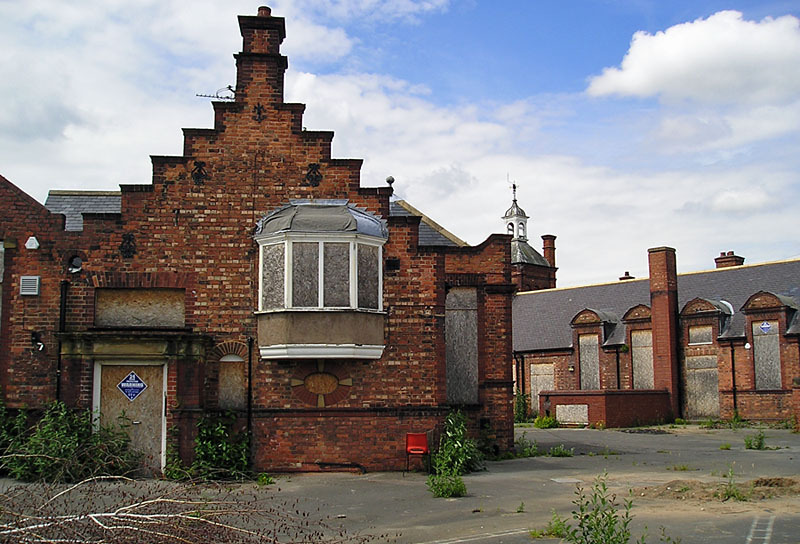 The Victorian Society – campaigns to protect Victorian and Edwardian buildings, and is looking for nominations of endangered buildings. Should Shipton Street school be nominated? Ashcroft (Hotel) was demolished in 2001 which is before your site started but it was very similar to the Burton Croft case. Ashcroft lives on only as the name for the apartments that were built following demolition. Clearly the developers could not wait to get rid of all traces of the original building. So was Victorian architecture valued? Not when calculations on return on investment were made which rationally favoured complete demolition and building again from scratch.